Are you prepared for a potential cyber-attack? There are two types of companies in the world, those that know they have been hacked and those that don’t know it yet. With cybercrime on the rise, never before has it been so crucial to every company’s safety to have cybersecurity technology installed and integrated to their security system. 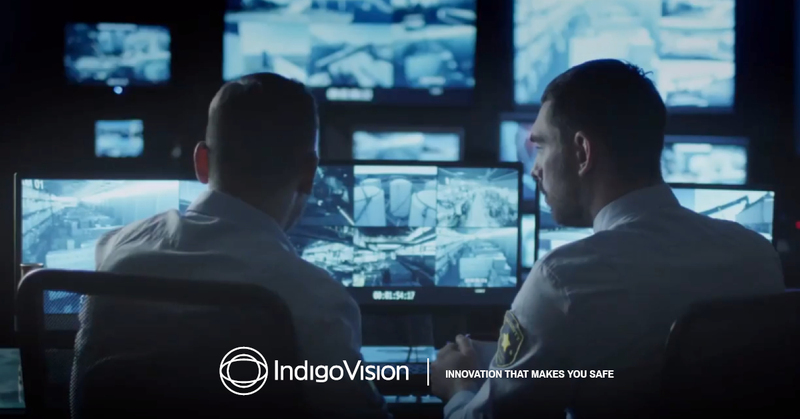 IndigoVision offers customers a complete end-to-end security management solution. Not only does IndigoVision have a cybersecurity offering, but it has also released a security hardening guide which contains information on the best practices for protecting security systems. IndigoVision first released a cybersecurity offering in early 2017 with the release of its intelligent, VMS integrated cybersecurity technology device, CyberVigilant®. In early 2018, IndigoVision added to this offering with the release of CyberVigilant® in Camera. The CyberVigilant® device simply connects to a managed edge network switch to monitor connected devices using Switched Port Analyser (SPAN) functionality. In the event that any anomalies are detected, alarms are sent directly into the Control Center user interface enabling users to respond immediately to a cyber-attack. These anomalies include, but are not limited to, unauthorized configuration access attempts, network reconnaissance/scans, device access from unauthorized clients, shell access, use of unauthorized DNS, NTP and SMTP servers and Denial Of Service (DoS). It is available for purchase in two options, suitable for monitoring 16- or 24-channel edge switches. CyberVigilant® in Camera is designed around the same principles as the CyberVigilant® device, but the technology is inside selected BX cameras, made possible through a firmware update. CyberVigilant® in Camera is able to track any attempts from unauthorized devices trying to access them, sending real-time alerts to Control Center, and refusing to communicate with any device that’s not on the whitelist. All IndigoVision’s software and hardware products enable customers to deploy and maintain a secure security system, however, sometimes a few tips are needed to ensure you are getting the most from the functionality available. IndigoVision has therefore released a Security Hardening Guide that allows customers to ensure their security system is securely setup. The guide covers topics such as Security Physical Access to Components, Network Setup and Authentication via Passwords, and can be downloaded by visiting www.indigovision.com/security-hardening-guide. For more information about IndigoVision’s cyber-security offering please contact us now.